At first look, both GlassUp and Google Glass have a similar design. The Internet geared eyewear from Google Inc. is incredibly costly and that may create the much needed niche segment for the cheaper, not-so-feature-rich GlassUp. There are ample scope for a lot of companies to come up with a product that almost resembles Google Glass. This is why an Italy-based, technology company, GlassUp has released a similar product in the consumer market priced at $399. Though the gadget from GlassUp has some unique features of its own as compared to the renowned Google Glass, yet they have been aptly priced by keeping the budget of the average consumer in mind. However, if speculators are to be believed, then Google Glass may not be something that an average consumer may require and that it may be used for business purposes. This is an alternative enlarged reality specs. It uses Bluetooth technology to get a consumer’s smartphone connected. Information from the phones of the consumers will be relayed to the glass and the notifications will be displayed on the GlassUp’s lenses. 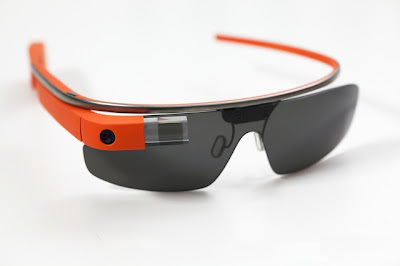 The center of the glass will receive the projections which is one of the key differentiating feature from Google Glass. Similarly, notifications will be based on the applications or apps chosen by the consumers to download data. As per GlassUp officials, the display of the information right in the center of lenses will be more soothing to the eyes than Google Glass. Consumers will view information from the eyewear GlassUp as if they are looking right through a windshield. Speaking about the battery’s performance, its average life is approximately 150 hours, if the gadget is kept in standby mode. Moreover, the company is planning to come up with a prescription lens line of eyewears in the near future. The company defines their gadget as a ‘receive only’ device. In other words, consumers will only be able to access information while sporting the GlassUp. Apart from that, it doesn’t have the capability to respond to emails or text messages and so, consumers can only read SMS messages, notifications and emails displayed on the gadget’s lenses. It cannot even take pictures or shoot videos. GlassUp lacks a sturdy CPU and thus, it won’t be able to conduct any sort of real-time processing while it is in use. According to its founder, Gianluigi Tregnaghi, he has been working on the device two years before the announcement of Google Glass. He further added that Google has been requesting his company to drop the word ‘glass’ from the product name. However, irrespective of the product name, GlassUp is slated to go into production from the month of February 2014. Basically, it is a second-screen output for all those Internet-wired gadgets whose functions are similar to that of Pebble smartwatch. The company has a particular target and that is not to make GlassUp users look like a ‘cyborg’.